HabitBull : Organize Your Life! Measure and track anything and everything. Follow your own schedule and track your own goals. Get notified whenever you need to do something important. Simply start tracking bad habits like nail biting, smoking or drinking too much. Once you see the patterns, it’s easier to break them. HabitBull keeps you accountable. Also great for users of NoFap! Want to go for a nice walk every day? Or maybe give 3 hugs every Saturday and Sunday? Join us on this journey! Whether you want to read some more, stop smoking, start working out or even just track how many hours you wasted on Facebook, this app lets you do it! Habits are no more than routines which you perform subconsciously. To build one – train yourself. To break one, find another one which is similar, yet different and nicer, and repeat it until it sticks. To assist you with this HabitBull lets you set reminders for each habit and displays them on days when you need to be successful. This is especially useful if you have a to do list with repeating tasks or if you want to be reminded to do the same thing every day. It can also be used as a calendar planning tool or checklist, but also as a very effective repeating reminder (e.g. to drink water every 2 hours). HabitBull does feel a little like a game in which you compete with yourself. The task is to get a long streak for the habit you are working on by covering your goals. The longer the better. It takes a couple of months to fully build a new routine, so don’t give up – it takes time and if you are consistent it will work; even if it takes a few attempts. There are many things which you may want to improve. 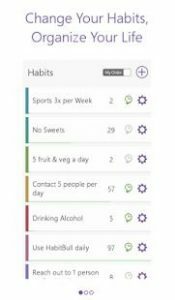 HabitBull can be used as a planner in building habits like taking your pills regularly, exercise, or keep to a diet. It can also be used as a helper for people suffering from memory problems. As for your vices, HabitBull can be a useful goal tracking tool, or a smart notebook, to assist you while breaking bad habits like nail-biting, drinking alcohol and even improving your dating skills. It is entirely up to you, really. But why not give it a try and have a convenient helper on the go? Pretty good with a decent amount of flexibility, but I’d like to be able to do more combinations. Specifically, you can set a target on a daily, weekly, or monthly basis, but not mixed. Hard to explain, but for example, I can set a target of 5k steps per day, but I can’t set a target of 35k steps per week that would add up across seven days. I can only say hit my daily target however many days per week. Other than that it’s easy to use, but I find the daily reminders a little annoying. This app would be perfect, my only issue is with the inspirational images. Like or dislike, the image still goes away. The ability to save an image and be able to display it would be amazing. If I like a quote but want to change it, it goes away forever and I can’t access it again. Having a way to save the images and choose between quotes you’ve previously saved or browse for a new one would be awesome. Otherwise, great app. 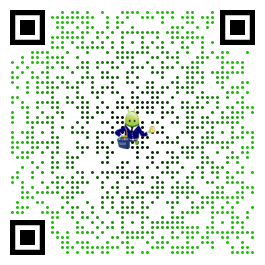 Subscribe to our mailing list and get new android apps / games and updates to your email inbox. We have made some changes and updates to our host if you find any error please let us know. Subscribe to our mailing list and get more apps, games and updates to your email inbox.